One of the most common reasons people come to Numerology, Astrology or Tarot is to find out something about their relationship compatibility. Relationships are the bringers of enormous gifts, but also of enormous challenges, so the predictive arts like these can offer real guidance and clarity. But many people get caught in the trap of thinking that generalizations hold the keys to compatibility. Just as the many free online zodiac relationship compatibility tests will compare just the Sun Sign – one of hundreds of possible chart factors – and claim to provide a definitive love match, the same thing is often done in Numerology. A typical ‘numerology relationship compatibility calculator’ will look at two individuals’ numerology charts and pick out just one or two core numbers, usually comparing the Life Path Numbers or the Soul Urge/Destiny Numbers in isolation of all else. Not only are these tests inaccurate, but they can undermine the delicate forces at play in these mystical arts. Yet, in our modern high-speed world, few have the time or inclination to sit down for a few solid hours and pour over reports, charts and numbers, analyzing archetypes, compatible qualities and clashing personality traits! So can you quickly and accurately find out your relationship destiny? Is there a numerology love prediction tool that provides this at all?! Well, you’re in luck! Yes, there is! And it is called the Relationship Number. What’s So Special About The Relationship Number? The Relationship Number is unique because instead of comparing the Numerology Charts of each separate partner, the relationship itself is given a single, identifying number of it’s own. In this way, the Relationship Number acts as its own shining light and driving force within the love match. It offers up the relationship’s own highest potential, as well as illuminating the challenges and stumbling blocks it may face. 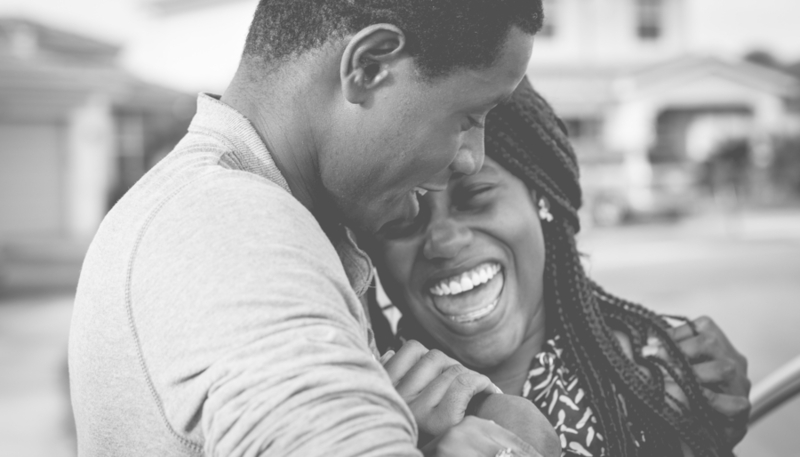 With the Relationship Number, you can stop looking at your relationship in terms of two matching or mismatching individuals and simply put love at the center. Perhaps you’re in a long distance relationship, and want tips to nurture your love and keep it alive? Maybe you’re married and in love with another woman or man and want to know whether it’s a true love match or simply a short-lived affair? Or perhaps you’re close to ending a long term relationship and want to give it one more try? The relationship number can be an incredible predictive tool, revealing the direction of most fulfillment for you and your partner (or reveal valuable insights on how to break up and stay on good terms). In fact, it can be used to provide information on more than just romantic partners: try it for colleagues, family and friends! The Relationship Number is calculated from both partner’s Life Numbers. No, not the Life Path Numbers, the Life Numbers … if this is new to you, read on. The Life Number is found by adding the Life Path Number to the Expression Number, and reducing this sum to a number between 1 and 9 (or to the master numbers 11 or 22). Since the Soul Urge or Heart’s Desire Number is contained within the Expression Number, there’s no need to add this in too. If you don’t know what your Life Path or Expression numbers are, use this handy calculator here. Once you have the Life Number for each partner, simply add these together, and reduce the sum to a number between 1 and 9 (or to the master numbers 11 or 22). My Life Path Number is a 6, and my Expression Number is an 8. So 6 + 8 =14, and 1+ 4 = 5. My Life Number is 5. My partner’s Life Path Number is a 9, and his Expression Number is a 7. So 9 + 7 = 16, and 1 + 6 = 7. His Life Number is 7. To calculate our relationship number, we add these two together, so 5 + 7 = 12, and 1 + 2 = 3. Our relationship number is 3. As you can see, this number is unique to the relationship – it belongs to both of us (and neither of us without the other!) so it is similar to the famous “composite chart” that many astrologers use for the same purpose. This relationship will thrive if you have something to focus on. Your relationship needs goals and ambitions, so perhaps you have grand plans to move abroad somewhere, raise a family, build your own home or create a business together? Individually, you both have skills that when combined, can greatly enhance what you are each able of achieving individually. It’s likely that in your highest form, you’ll be seen as a ‘power couple’ and will truly inspire those around you. If your relationship is struggling, perhaps your joint focus is lost and you have drifted away from each other. Try to bring more of the energy of the 1 into your relationship. Make plans. Start something new together and get passionate about it! Ignite your inner fire! And when you do, ensure that your new-found flame is directed towards something creative that you can build in partnership. This relationship will thrive if you communicate. Whether or not you are individually communicative people, you must use each other to develop these skills, and practice showing each other sensitivity and care. The purpose of this relationship is not to balance out each others different qualities, but to learn from each other how to find inner balance. If your relationship is struggling, perhaps you need to make more time and space for each other, to really listen and connect from the heart. Or have you neglected the art of compromise, and are expecting or giving too much or too little? Remind yourself that there are two of you in this relationship, so try to bring in more of the energy of the 2. This relationship will thrive if you create together. Your relationship needs to feel fun and playful, so allow both of your inner children to come out and be expressive! This is even more important if you both have jobs and responsibilities, which can easily stand in the way of the carefree nature that your relationship really wants to embody. Your relationship will feel at its best when you’re going to social gatherings together, holding parties and experiencing life to its fullest! If your relationship is struggling, perhaps you have lost the element of fun. Try to bring more of the energy of the 3 into your relationship – let go of routine, do something spontaneous and allow yourselves to be silly! Remind yourselves why you first fell in love! This relationship will thrive if you’re building a future together. Your relationship needs to feel grounded and organized, so you’ll both work best together if your home life is planned and routines are in place. Your individual Life Paths may not naturally adhere to this, but the future of your relationship may depend on it. You appear to others to have a solid, stable partnership and this is hugely admired. If your relationship is struggling, perhaps you have become ungrounded. Try focusing a little more on the details of your life together – come together to sort out the practicalities of your home life, delegate tasks and tend to the domestic chores. Your relationship can’t last without this firm, rooted footing. This relationship will thrive if you’re exploring life! Your relationship needs to feel new and exciting with every turn, so you’ll both work best together if you’re able to be spontaneous and feel free. This may mean giving each other plenty of space, but it’s more likely that you need to have these adventures together! If you can organize your lives to include variety and diversity, you’ll grow and stay together, and your relationship will fuel both of your lives independently. If your relationship is struggling, perhaps you need to get away from the more mundane aspects of life. Try bringing more of the energy of the 5 into your relationship – book a table at a new restaurant tonight, take a short break away this weekend, or even re-arranging the sitting room can add the touch of variety that will bring your relationship to life! This relationship will thrive if you provide sanctuary for each other. Your relationship needs to feel safe, serene and ordered. Within the soft space you create together, anything is possible and you’re both able to express your creative gifts, in whatever form they take. You probably find that your household is the one that everyone always ends up at! Whether or not you intend it, yours is the kettle that pours endless cups of tea for neighbors, friends and well, whoever’s passing! If your relationship is struggling, perhaps you’re not nurturing it. When was the last time you went out for dinner, to a movie or away for a weekend? You need to ensure that you are BOTH being cared for equally – it’s not one or other of you buying gifts or cooking a special dinner for the other. Start regarding the relationship as more than the sum of its parts, and you’ll both be nurtured by it. This relationship will thrive if you’re digging deep together! Your relationship needs to feel like you’re finding a deeper meaning to life, so you’ll both work best together if you’re building on each other’s knowledge, and finding new, innovative and authentic ways to live. It’s likely that you’ll love spending time together, just the two of you, which allows you to deepen into your eccentricities and explore the depths of your life together, to make it exactly how you want it to be. If your relationship is struggling, perhaps you need to get away the expectations of close friends and family, and the social norms you’re so used to. Have you sat down recently and talked, really talked about where your relationship is going, and what you both want from life? Be inspired by each other – anything is possible when you’re working on it united! This relationship will thrive if you’re building an empire together! Your relationship needs to feel the flow of wealth moving through it, but it’s imperative that there is a balance of power between you both. Overall, the 8 seeks balance, but this can often manifest as a rising and falling, of energy. So it’s important to understand that the relationship may go through many stages and cycles. This is your nature together, and it’s the fault of no one in particular. If your relationship is struggling, perhaps you need to redress the balance in the partnership. This amounts to more than money and material wealth – who holds the power over which parts of your life together? Who is in charge of what? Who takes responsibility for certain areas of your relationship? Try shake things up a little, and see how your feelings begin to change. This relationship will thrive if you’re part of a higher plan. Your relationship needs to feel like it’s operating on a higher plane of reality, and your joint mission is in service to humanity. It’s likely that people come to you for advice, help and even charitable donations, which you gladly offer. But you must ensure you are also offering yourselves to each other. Your tendency to look at the bigger picture means you can easily overlook the importance of a healthy home life. If your relationship is struggling, perhaps your relationship has been offering too much to the outside world. What do you, each, need from each other? Can you offer it, gladly and lovingly? As the number of endings, the 9 can also bring with it the end of karmic cycles so there is the chance you may have been brought together to complete a pattern you have been living out over lifetimes. So if there is an inherent relational wrestle that seems to exist between you, consider looking a little more deeply into it. It may be that your time has come to clear it, once and for all. This relationship will thrive if you’re on a spiritual quest together. Like the 2, your relationship needs you to communicate and to embody the principles of empathy, sensitivity and care. But again, the purpose of your relationship is not to balance out each other’s different qualities, but to learn from each other how to find inner balance. The Master Number 11 holds a unique energetic signature of spiritual awakening but this often involves intense challenges. So if your relationship is to last, you may need to brace yourselves against the hardship that true evolution requires. If your relationship is struggling, perhaps you need to unite more than you are. The 11 stands as two equal pillars, so mimic this in the way you hold yourselves within the relationship. Deepen into your intuitive gifts, and share the insights that you glean with each other. You may also need to back down into the vibration of the 2, and become anchored, balanced and grounded, which will give you both strength. This relationship will thrive if you’re building a visionary future together. Like the 4, your relationship needs to feel grounded and organized, so you’ll both be able to step into your gifts in this world if your home life is planned and routines are in place. Having a solid base from which to work means that you will be able to communicate closely and confidently share your visions for the future. Together, you have the potential to shift the paradigm of this world we inhabit, so don’t make life harder for yourselves than it already is! If your relationship is struggling, perhaps you need to communicate more authentically, and from a deeper place. The 22 is an incredibly powerful Master Number so trust that by sharing and witnessing, you will BOTH embody this energy (but it does not exist if you isolate yourselves from each other). You may also need to back down into the vibration of the 4, and anchor yourselves in this world from time to time, tending to the practicalities of your life together, which will give you both strength. As you can see, used like this, the relationship number can provide a huge amount of accuracy and insight to those seeking the low down on their chosen love match! Of course, a full couple numerology reading, with a trusted and detailed compatibility report is always recommended. But if you want an added predictive layer at this stage, without any more complication, try comparing the relationship number with the Life Numbers for each partner. This simple trick can take your understanding of each other to a whole new level. Try it! Have you learnt something about yourself (and your significant other) today?